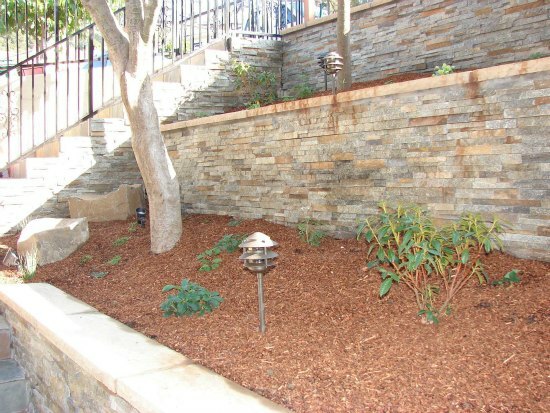 A steeply sloping front yard garden is engaging because the changes in elevation are visually dynamic and invite exploration. The different levels of the property can be shaped into separate rooms which extend the usuable space of the home into the garden and invite family and guests to enjoy the out-of-doors. 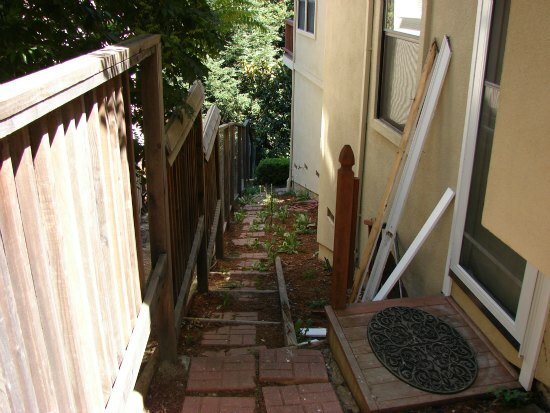 However, a severe downslope also means that certain challenges must be met in order to ensure the integrity and usability of the property. 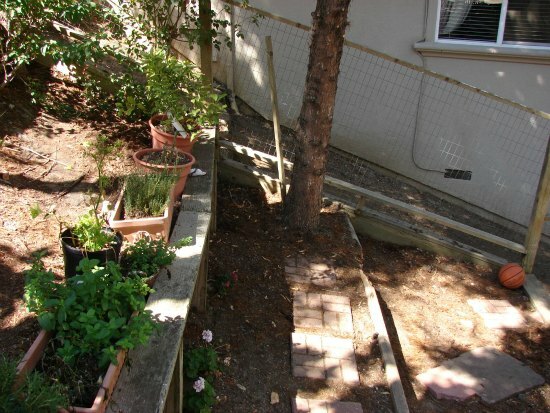 For instance, retaining walls must be created to handle the extreme soil pressure. In addition, proper drainage must be an integral part of the plan. 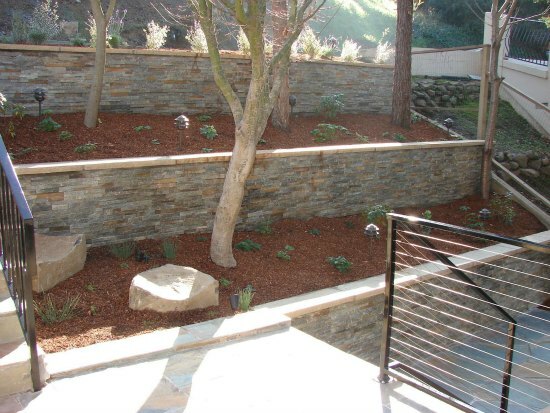 But with the right landscape design, an inclined yard can wrap a home in a very personalized outdoor living space. Our clients were a stylish young couple who were juggling a brood of rambunctious children. 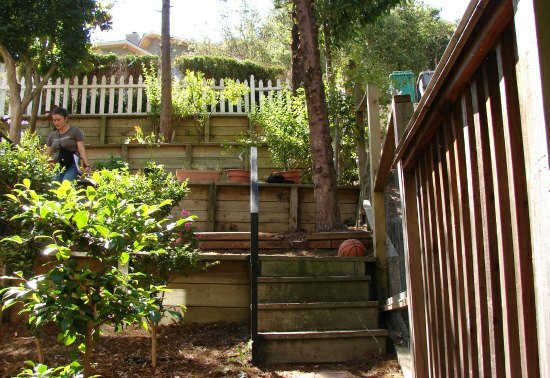 They craved a level outdoor space for play and adventure for their family. 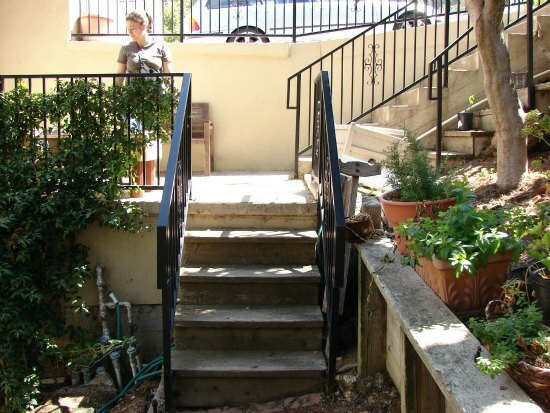 This was a tall order considering the tremendous downslope of the front yard garden of their Montclair property. Equally important to the functionality of the space, was its aesthetic. They wanted their new outdoor space to reflect the modern, sleek architecture of their home. 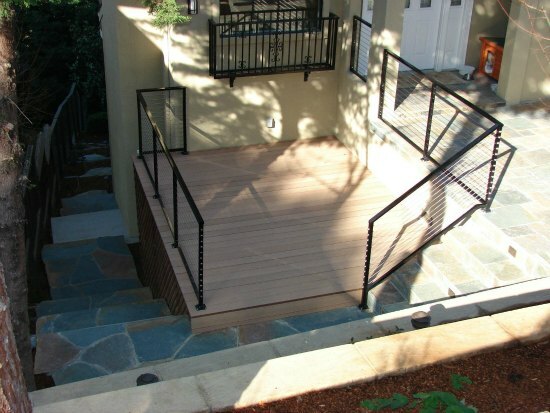 To ensure that the remodeled outdoor space became a seamless extension to their expansive home, materials were methodically selected to devise a series of terraced walkways, patios, and a gorgeous Trex deck. 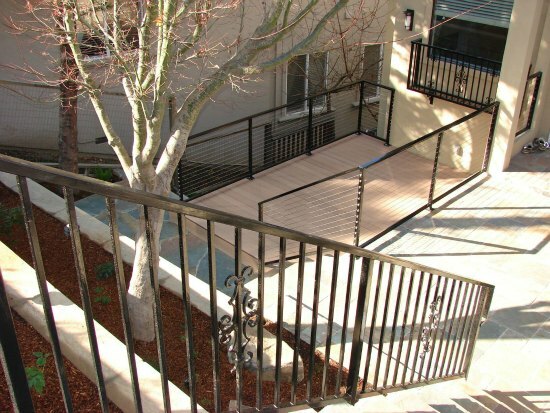 The final result is now a functional, stylish, and fun outdoor living space. 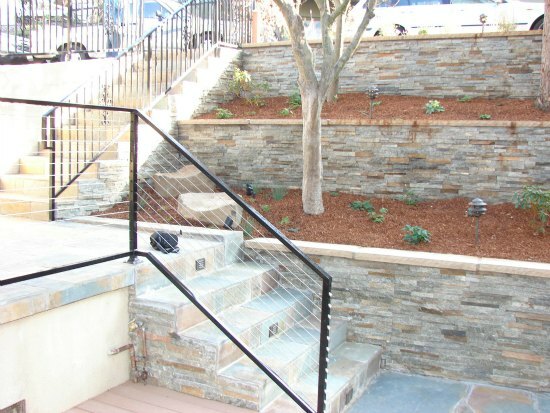 Steeply sloping areas offer both opprotunties and challenges when designing and constructing a customized outdoor living space. To deal with the challenges of working on a steep incline, we draw of the knowledge of our agricultural forfathers: we create terraces. 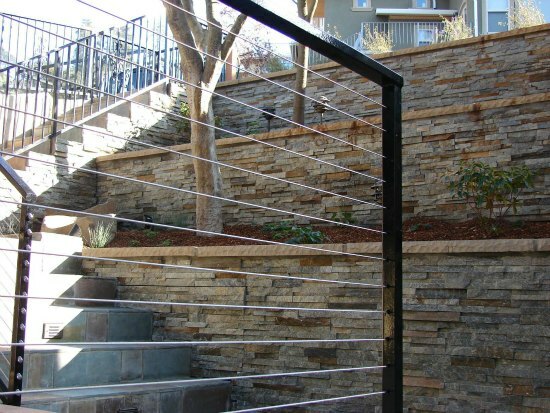 These serve to retain the integritey of the hillseide but require the proper applicaiton of retaining walls, and well planned drainage. 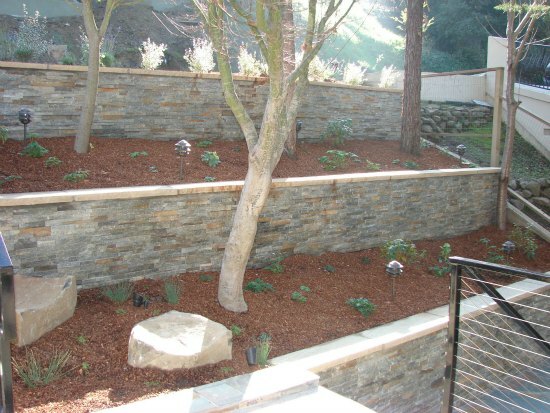 With the proper execution a steeply sloping garden can be an oasis for friends to enjoy and a multi-tiered area where rambunctious children can play.